By 1977, a consortium which included Bondurant had bought the track for $1.5 million off the Filmways Corp., with Chris Pook and the Long Beach Grand Prix Association also coming on board in 1980. By this stage, events being staged included a round of the AMA Superbike series, which debuted in 1977 with a victory for the Ducati of Paul Ritter. The track was given its first complete repaving in 1985 and pit buildings appeared for the first time. 1987 saw NHRA drag racing arrive at the circuit's strip, providing a big boost to the calendar of events. When Riverside Raceway closed in 1988, Sears Point gained another headline event with the annual visit of the NASCAR stars. Ricky Rudd won the inaugural race in 1989. The same year the Skip Barber Racing School replaced the Bondurant Driving School - though this in turn was replaced by the Jim Russell School in 1996. A $1million 'beautification' project in 1994 saw the addition of construction of a 62-foot-high, four-sided electronic lap leader board in the center of the road course. Another innovation that year was the creation of makeshift auxiliary pit road inside the hairpin (turn 11) for use during NASCAR events. Nicknamed 'Gilligan's Island', it catered for the additional nine cars that could not be accommodated in the main pit lane's 34 pit stalls. Since the length of the auxiliary pit road was significantly shorter, the cars that pitted there were held an additional 15–20 seconds at each stop to make up for the time that would have been spent if they had travelled the entire main pit road. 'Gilligan's Island' was never popular with drivers or crews, particularly as it was landlocked by the race course, and crew members were unable to leave once the race began. Teams sent only their primary pit crew to Gilligan's Island, and once they were there, they could not access the garage area or their transporters to collect spare parts/tools. In 1995 saw a further $3 million upgrade included the installation of VIP suites and a two-story driver's lounge/emergency medical facility. The track was sold off by Berg to Speedway Motorsports, Inc in November 1996, which began a multi-year program which has transformed the fortunes of the circuit and seen considerable investment in infrastructure. Major renovations begin in 1998 with the creation of "The Chute," an 890-foot high-speed stretch between Turns 4 and 7, used for all NASCAR-sanctioned events. Trans-Am and Sportscar races also returned to Sears Point, with AMA Superbikes following in 1999. A $70 million modernization plan - with the aim of creating one of the USA's premier motor racing facilities - began in 2001, with a modified Chute section, revised motorcycle course, better fan facilities and a kart track all included. A much-needed change came in 2002, when an extended pit lane was created (ending the use of 'Gilligan's Island' once and for all) and the start/finish straight was realigned to separate it from the drag strip. 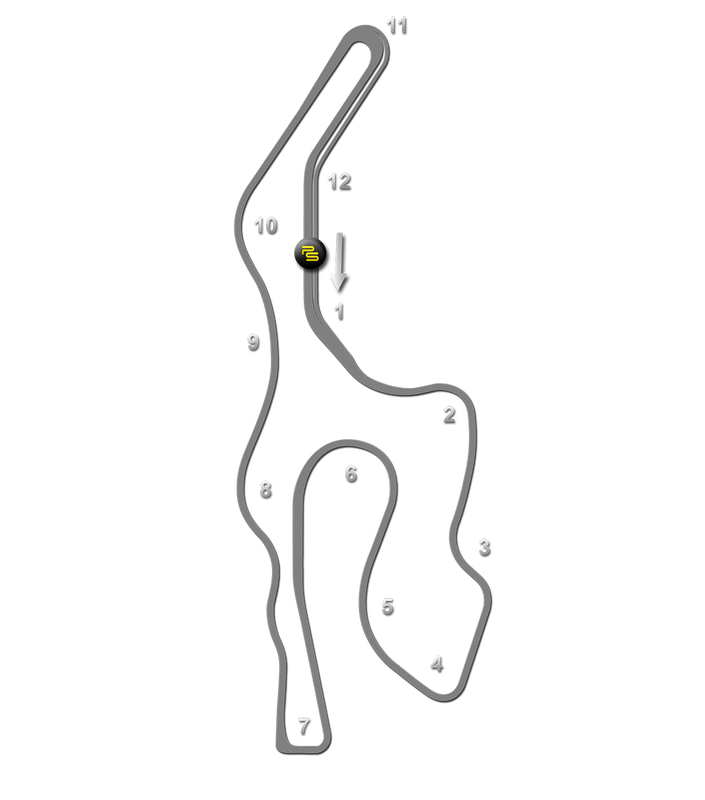 A new chicane section was added in 2003 to bypass the fast Esses on the return leg of the Full Course, used for motorcycle racing and the majority of car racing (NASCAR continues to utilize the original 8-9-10 corner combination). A new hairpin - Turn 11A - was also inserted just past the drag strip control tower to bypass the original Turn 11, which had insufficient run off for single seaters and motorcycle racers.